We're excited to introduce O'Neill SUPs to our shelves! O'Neill are the grandfathers of surfing and the Californian surf-life. Not only did they develop the very first wetsuit, their innovative products and surf-lifestyle clothing has shaped surf culture for the past 60 years. You won't find an inflatable paddleboard from a brand with as much pedigree as O'Neill. The Santa Fade is the go-to inflatable paddleboard from O'Neill. The dimensions of this SUP make it a great all-rounder, for comfortable paddling on flat water and in the surf. It's stable without being slow or sluggish. The Single Layer Light Technology creates a lightweight board that's easy to handle and transport, wherever your adventure takes you. 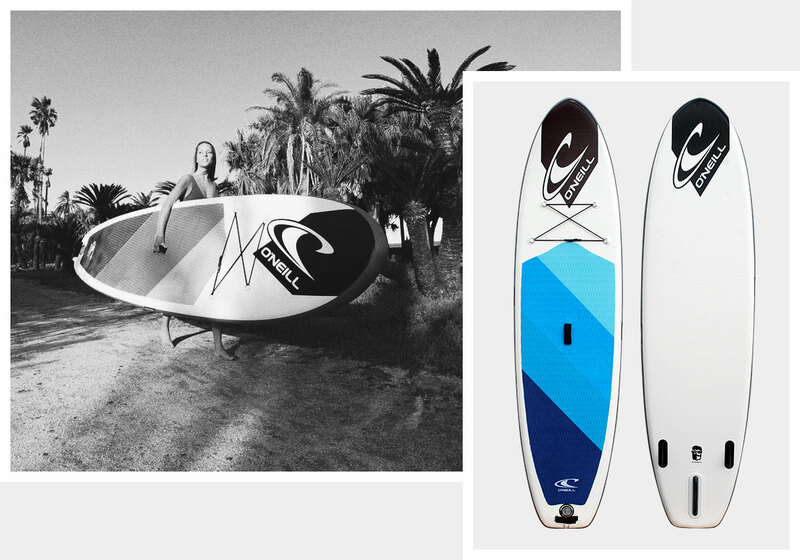 What's more, is that this inflatable SUP comes in at only £449!. With the board, paddle, bag, pump, leash and waterproof phone case, plus free shipping, you get an awful lot for your money. All from one of the World's greatest surf and lifestyle brands.